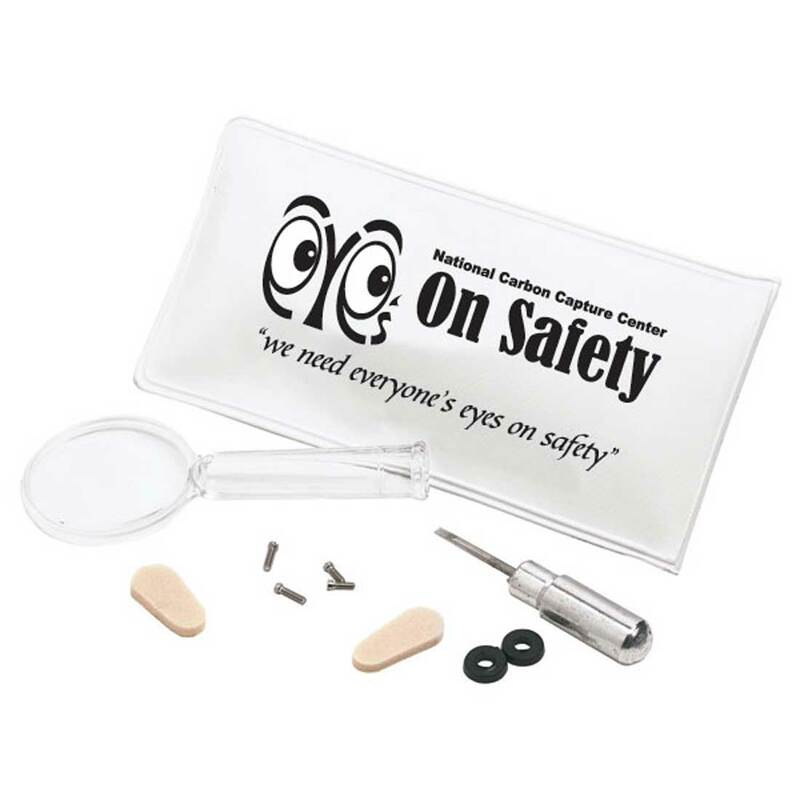 Keep an Eye on Safety with this Eyeglass Repair Kit. Great Employee Reminder idea. Screwdriver, 4 screws in varying sizes,2 nose pads, 2 rubber O-rings. 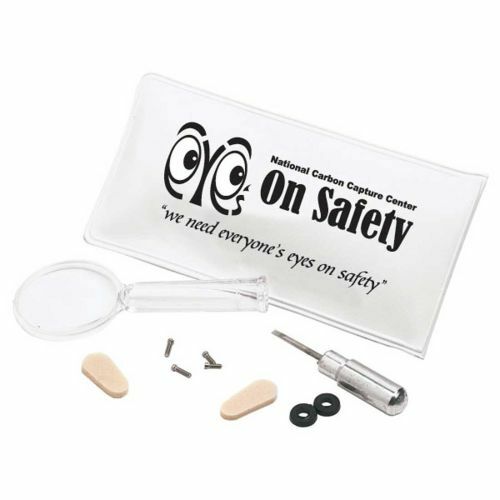 Magnifying glass for quick and easy emergency repairs. Price includes your logo and safety text too.